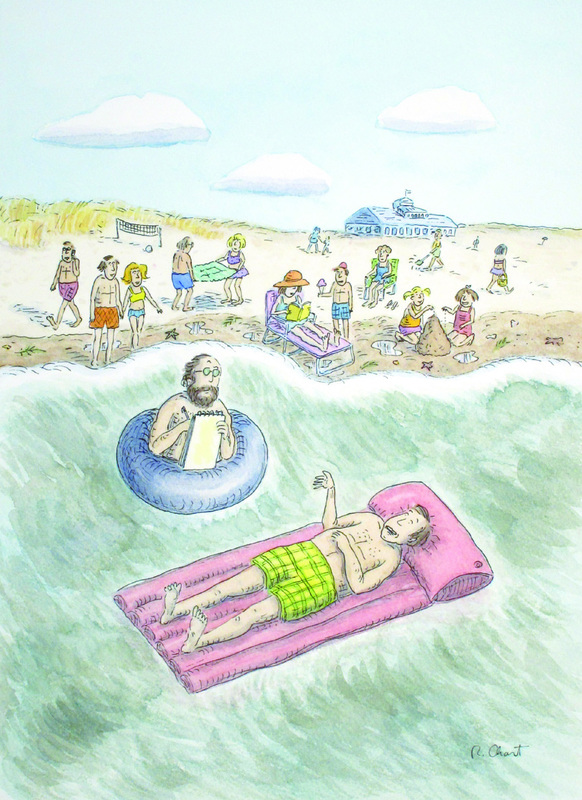 Artist Roz Chast (b.1954) has loved to draw cartoons since she was a child growing up in Brooklyn. She attended Rhode Island School of Design, majoring in Painting, but returned to cartooning after graduating. 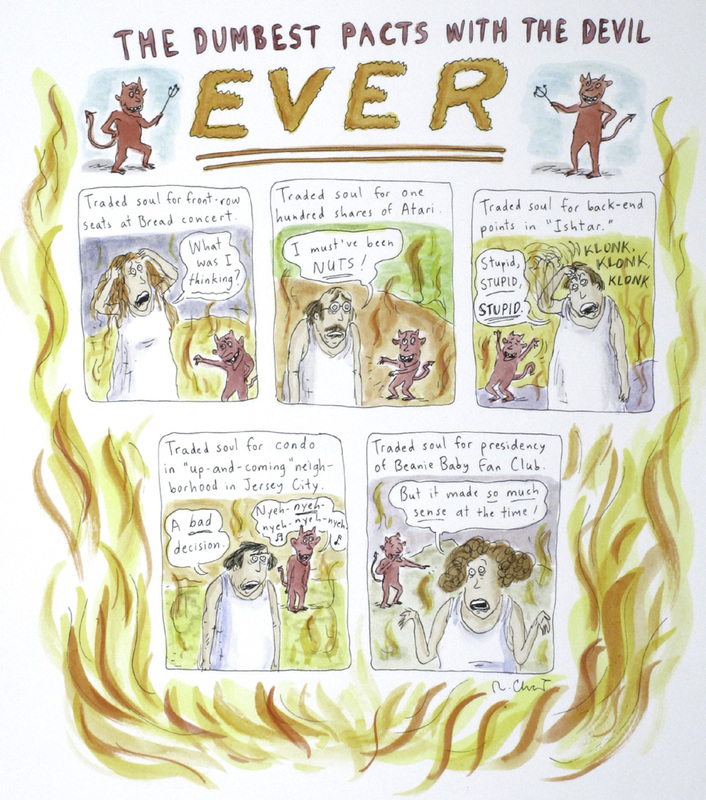 Since 1978, Ms. Chast has worked as a regular cartoonist for The New Yorker, which has published over 800 of her cartoons. She previously worked for The Village Voice and National Lampoon, and her work can also be seen in such publications as Scientific American, Harvard Business Review, Redbook, and Mother Jones. Chast has written or illustrated more than a dozen books, including What I Hate, A Friend for Marco, Too Busy Marco, Theories of Everything, The Party After You Left, Childproof, Mondo Boxo, Proof of Life on Earth, The Four Elements, Parallel Universes, Unscientific Americans, Poems and Songs, and Last Resorts. 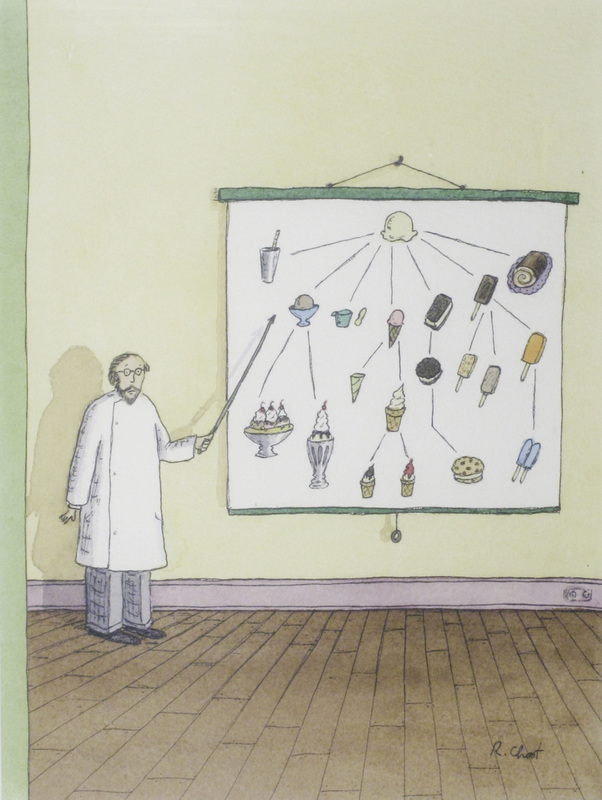 In 2006, Theories of Everything: Selected Collected and Health-Inspected Cartoons, 1978–2006 was published, collecting most of her cartoons from The New Yorker and other periodicals. She also illustrated The Alphabet from A to Y, with Bonus Letter, Z, the best-selling children’s book by Steve Martin. 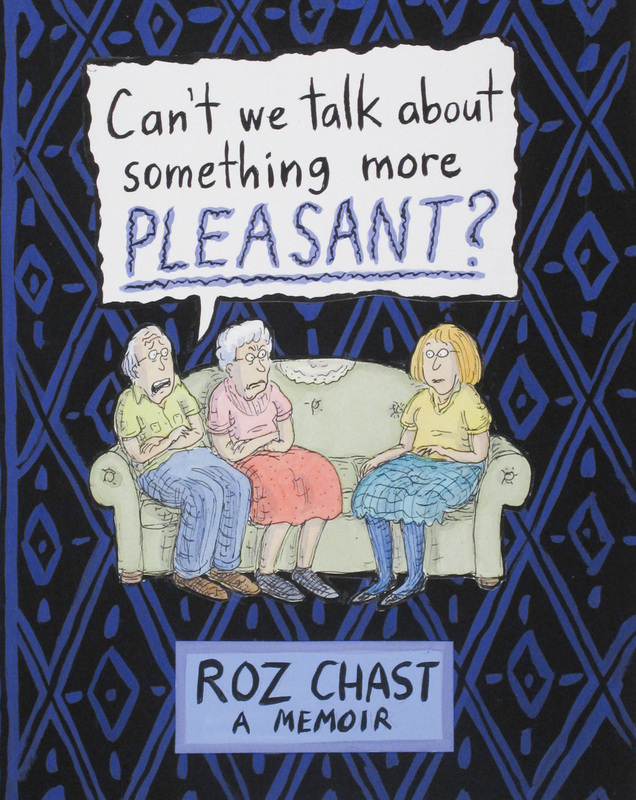 Released in 2014, Chast’s award-winning bestseller, Can’t We Talk About Something More Pleasant? 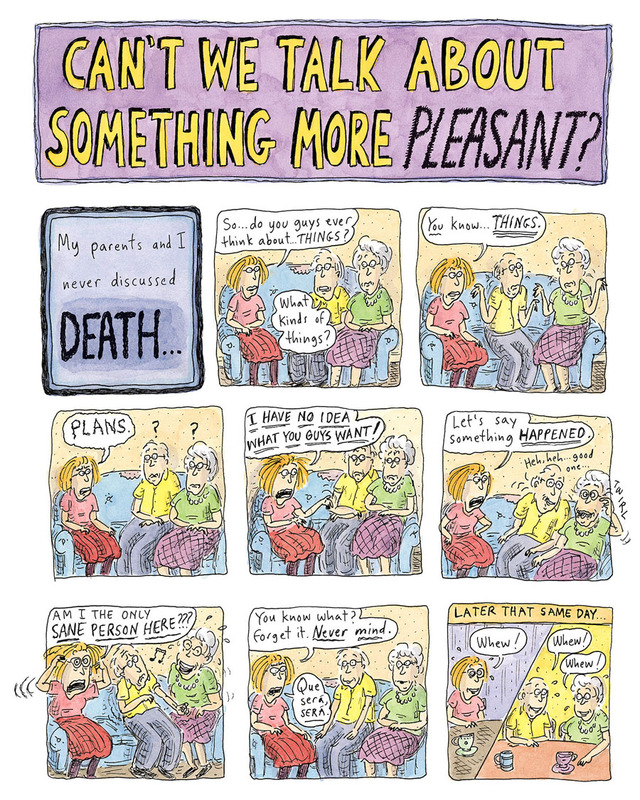 is a graphic memoir, combining cartoons, text, and photographs to tell the story of an only child helping her elderly parents navigate the end of their lives. Chast, Roz. Can't We Talk about Something More Pleasant? New York: Bloomsbury, 2014. Chast, Roz. Going Into Town: A Love Letter to New York. New York: Bloomsbury, 2017. Chast, Roz. Theories of Everything: Selected, Collected, and Health-Inspected Cartoons, 1978-2006. New York: Bloomsbury, 2006. Chast, Roz. Too Busy Marco. New York: Atheneum Books for Young Readers, 2010. Chast, Roz. 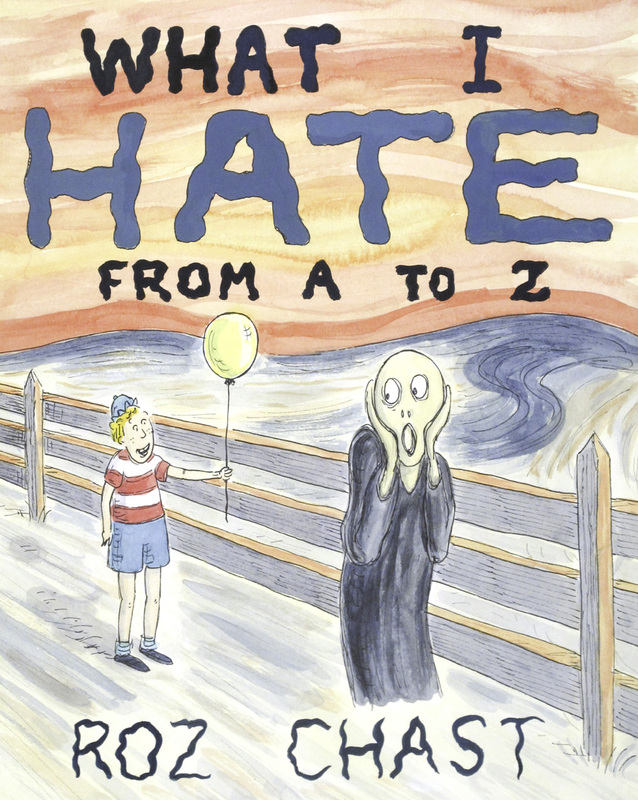 What I Hate: From A to Z. New York: Bloomsbury, 2011. 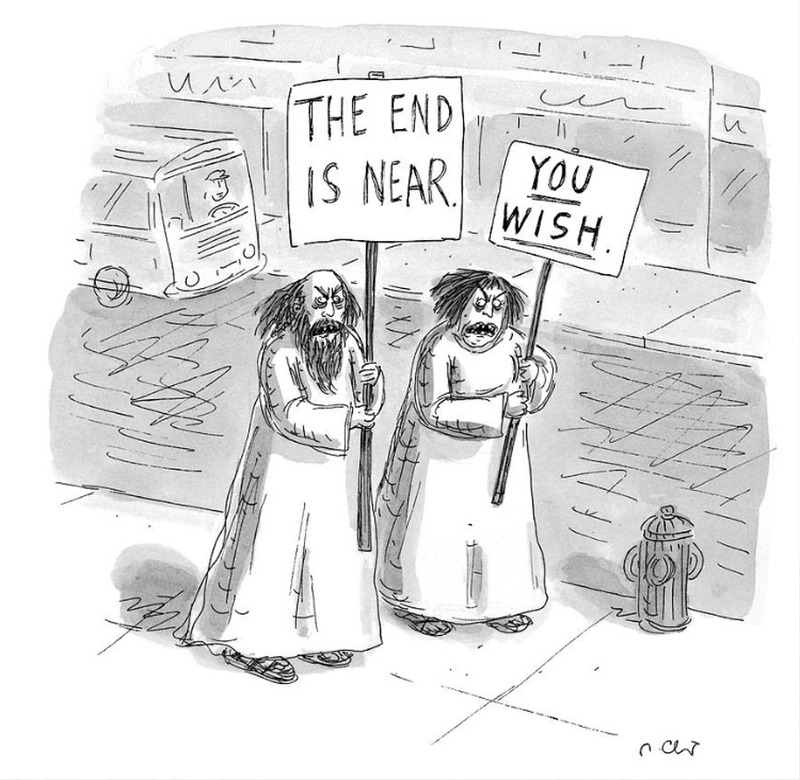 Martin, Steve and Roz Chast. The Alphabet from A to Y with Bonus Letter, Z! New York: Doubleday/Flying Dolphin Press, 2007.